Football season is almost here, so to get you and your friends in the mood, how about serving these delicious chocolate football strawberries at your tailgater. If you're looking for ideas for a football dessert table, then today is your lucky day! Here you can find a number of great ideas that you'll love! 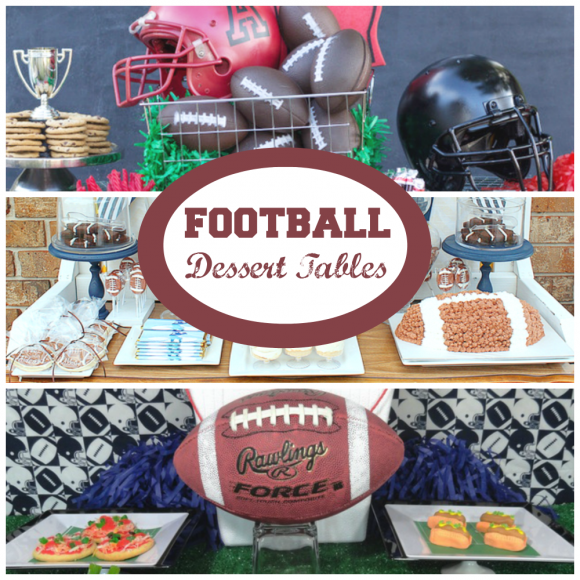 So get ready for the game with these incredible football themed dessert tables! 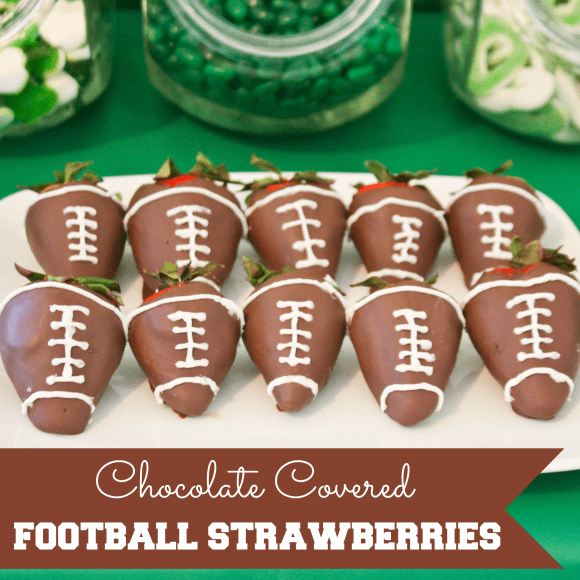 Don't forget to add the chocolate covered football strawberries to your dessert table! All aboard! 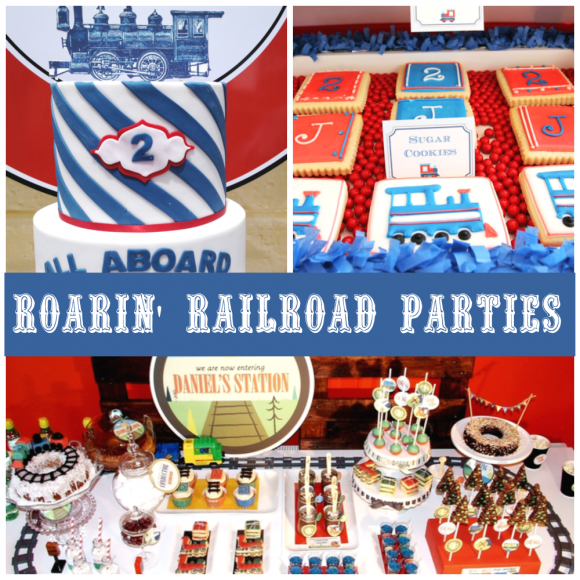 Check out all of these awesome train party ideas! Here you'll find loads of ideas for your son's birthday party. So check out the awesome cakes, cookies, cupcakes, decorations and much, much more!